I have a thing for baked goods. For crispy and chewy pastries, just barely sweet enough to make black coffee amazing. I also love the whole idea of food trucks, like fancy little trailers with baller kitchens. 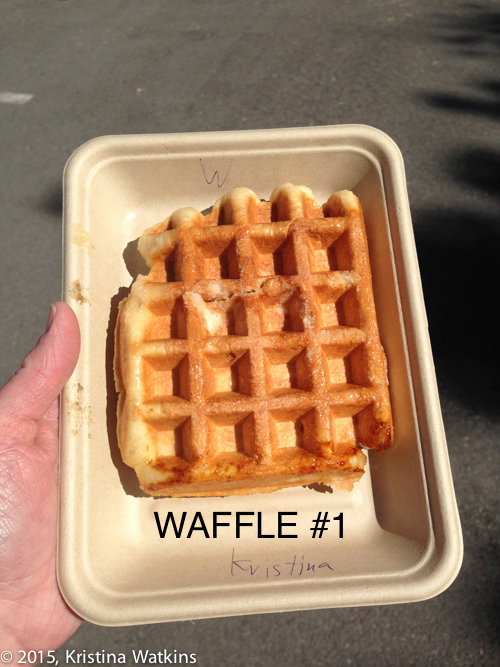 So when the Waffle Love food truck rolled over to Metro Title Company‘s open house I really had no choice. 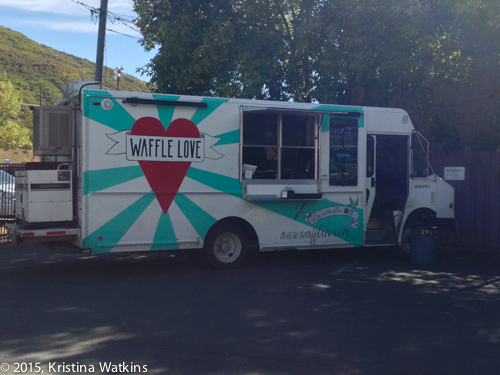 Waffle Love was parked in Park City for the Sundance Film Festival two years ago and though I missed a waffle at that point I have been thinking about it ever since. And particularly since my waffle iron got packed away in a “Kitchen B-List” box and hasn’t made it to the house yet. As any test of a baked good, try it plain first. If it’s not good without whipped cream or syrup or Nutella then it will just be lovely things on a crappy pastry. This was not a crappy pastry. 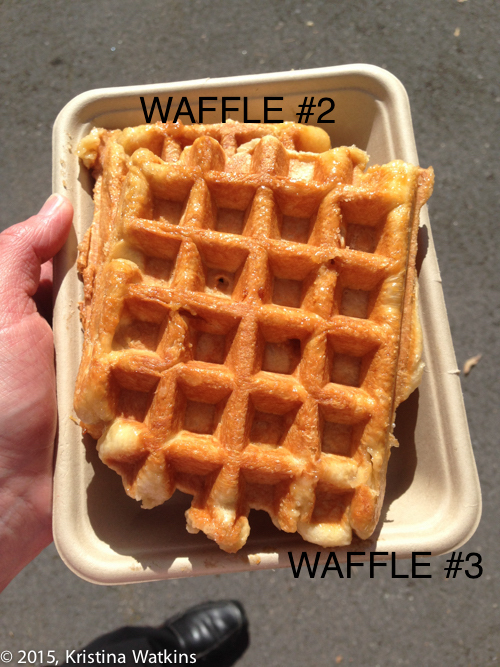 My guess is it’s a yeast-raised waffle batter that they stick sugar cubes in once it’s in the iron. 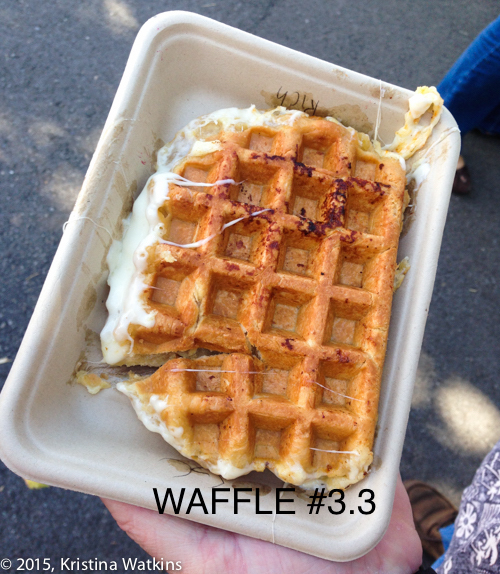 My love of cheese waffles is well-documented, and though I prefer the hunks-of-cheddar-and-a-fried-egg-on-top have it for brinner version, Waffle Love makes a dynamite grilled cheese waffle. 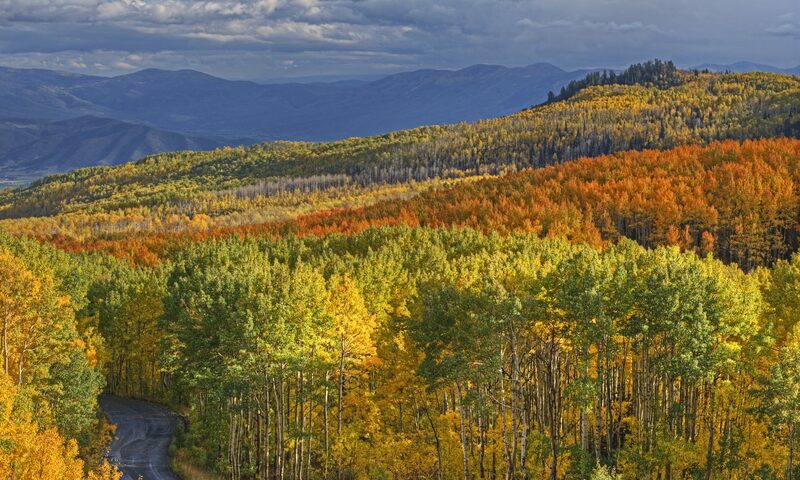 Which I shared. Which by shared I mean it was voluntarily shared with me by a fine person called Rich and there was no coercion whatsoever.